It’s only fitting that one of the top tennis tournaments in the world is located in one of the most beautiful places in the world. The BNP Paribas Open is held annually at the Indian Wells Tennis Garden in sunny Southern California. Direct flights to Palm Springs International Airport (PSP) are available from many US and Canadian airports. Several major airlines service Palm Springs International Airport. 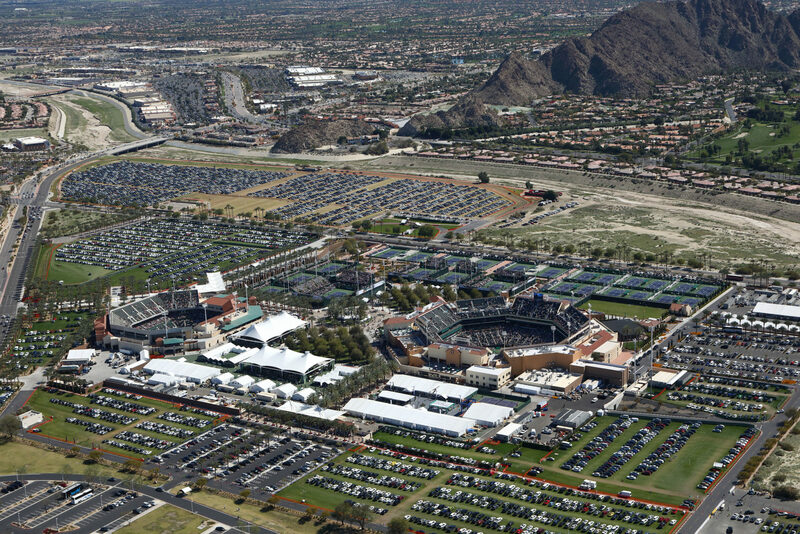 Indian Wells Tennis Garden is located a half hour away from the airport. Head east on Hwy. 111, turn north on Washington Street then west on Miles Avenue. Alternatively, take Ramon east to I-10 east, exit south Washington Street, turn west on Miles Avenue. Head east on 1-10 to Palm Springs/Indio, continue east and exit south on Washington Street, turn west on Miles Avenue. Head north on 1-15, then north on Hwy. 215, then east on Hwy. 60 to where it becomes 1-10 near Beaumont. Then head east on 1-10 to Palm Springs/Indio, continue east and exit south on Washington Street, turn west on Miles Avenue. Head west on 1-10 to Palm Springs/Indio, continue east and exit south on Washington Street, turn west on Miles Avenue.